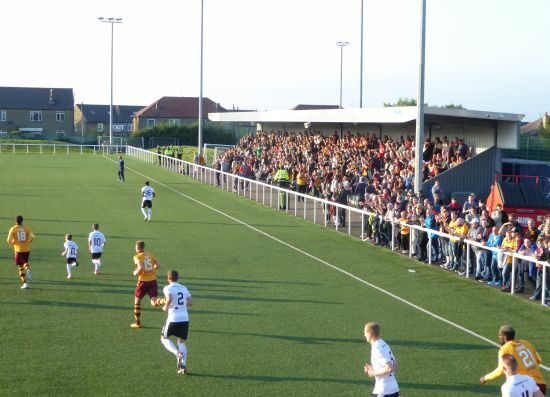 Motherwell will start the Betfred Cup campaign with a visit from Edinburgh City on Tuesday 17 July. Ties against Stranraer, Queen of the South and Clyde follow. Now that the broadcast partner has made its recommendations the rest of us can learn our fate. Gone are the days when cup game dates are known when the balls are pulled. The league season opens on the weekend of 4 August and the fixtures will be announced on Friday June 15. We had a tough time against Edinburgh City when the played them in the sections a year ago. We needed a late equaliser from Frear and a very late winner from Cadden to spare the blushes. But we came through the group with four wins then marched to the final setting Ross County, Aberdeen and Rangers aside on the way. A summer jaunt to Stranraer looks inviting before we return to Fir Park to meet Queen of the South. BT Sport will broadcast the final group tie when we play Clyde at Broadwood. The club is likely to reveal a list of pre-season matches this week.